As described in my last post, our theatrical world premiere opening night at The Colonial Theatre in Keene, NH was a big success. From the beginning of this project we were fairly certain that one way or another we going to have a special premiere for the film here in New Hampshire. After all, the film was entirely shot in Peterborough—the same town Thornton Wilder used as his model for his wonderful play “Our Town”—and we raised roughly 90% of our financing in the state. 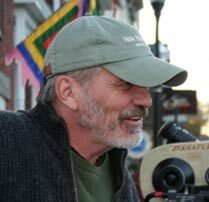 In a very real sense, the production was a grand partnership with many NH people and organizations and we knew we wanted somehow to celebrate that fact when the film was finished. As our festival run got underway with San Sebastian, we were already thinking in terms of finding a distributor. I have to say at the outset of sharing this part of our journey that the timing for us with this film in terms of what was beginning to happen in the industry in general for indie filmmakers was not the most advantageous.